In what can be termed as a ray of hope for HIV-positive patients, Philadelphia-based Temple University scientists have shown how gene editing can be used to eliminate the HIV-1 virus from the human genome. Gene editing is a genetic engineering approach in which DNA is inserted, removed or replaced from a precise location within the genome. The Temple University scientists used CRISPR, a latest gene-editing technology. HIV-1 accounts for 95 per cent of all HIV infections. 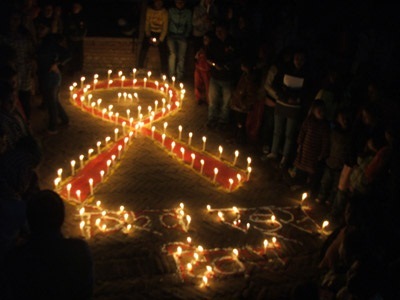 The finding can “potentially serve as a novel and effective platform towards curing AIDS,” online journal Scientific Reports said. The problems with the Highly Active Antiretroviral Therapy (HAART) are plenty. Though it is the current treatment for HIV/AIDS patients involving a combination of three or more drugs, not all patients respond to this therapy. HAART also has side effects. “Some patients exhibit neuropsychiatric illnesses—anything (ranging) from suicidal tendencies to nightmares. In selected cases, such side effects don’t even disappear. Also, HAART increases the lipids level in a patient which (can) pave the way for coronary artery disease and heart attack,” said Raj Harjani, an HIV/AIDS specialist at Ashirwad Hospital in Thane. But the biggest problem is that HAART drugs do not kill the virus. They only prevent its growth. HIV remains latent. “If a patient stops taking these drugs, HIV rebounds and the patient’s cells even develop a resistance to the drugs, rendering them ineffective,” Harjani added. To eliminate the HIV virus completely after it becomes integrated in the cells, researchers have tried various methods, the most well-known being the “shock and kill” approach. In this method, the HIV virus is reactivated expecting to stimulate a robust immune response, thereby eradicating it. However, till now, this technique has not worked. Back in July 2014, the Temple University researchers demonstrated how CRISPR can cut out HIV-1 from the DNA of infected cells. This time, the researchers have shown that persistent use of CRISPR in HIV-1-eradicated cells protects them against re-infection, thereby eliminating HIV-1 from the entire genome which is the sum total of an organism’s DNA. Although CRISPR is the most specific gene-editing technique developed till date, there are some limitations. The problem of making a progression from the lab to the clinic remains. In the lab, researchers used certain methods that may not work for all types of cells found in the human body. “We saw what we were hoping to see and more. But we saw it in the lab in cell cultures. The next step is to take it to the clinic,” Khalili said. “The findings are important on multiple levels,” Kamel Khalili, senior investigator of the research team, said in a press release given by the Temple University. “They demonstrate the effectiveness of our gene-editing system in eliminating HIV from the DNA of CD4 T cells. What caused HIV/AIDS to explode?